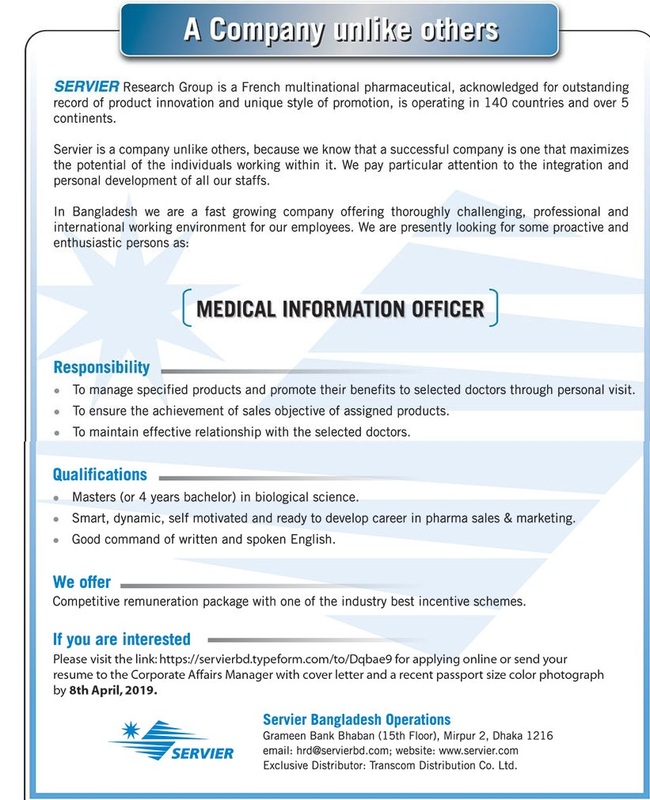 Servier Bangladesh Operation Job Circular 2019 has been published by their authority in daily online job portal and to get from the best jobs and the education portal website in BD Jobs Careers- www.bdjobscareers.com. For the user understanding, we would like to inform you that,SERVIER Research Group is a French multinational pharmaceutical, acknowledged for outstanding record of product innovation and unique style of promotion, is operating in 140 countries and over 5 continents. Servier is a company unlike others, because we know that a successful company is one that maximizes the potential of the individuals working within it. We pay particular attention to the integration and personal development of all our staffs.